< Tate & Lyle Sugars Tasting House! I absolutely adored the edible ‘turtle’ eggs I saw at the Tate & Lyle Tasting house earlier in the week, I also fell head over heels in love with the gingerbread creations. The only logical thing to do…. combine the two ideas with an Easter twist! 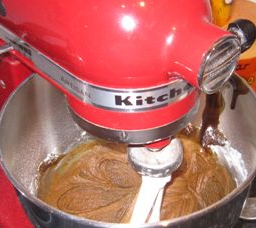 I used the new Tate & Lyle Taste Experience Dark Muscovado sugar in my gingerbread. It added a very moreish quality and gave the gingerbread a deep rich flavour, I would definitely recommend trying it out! 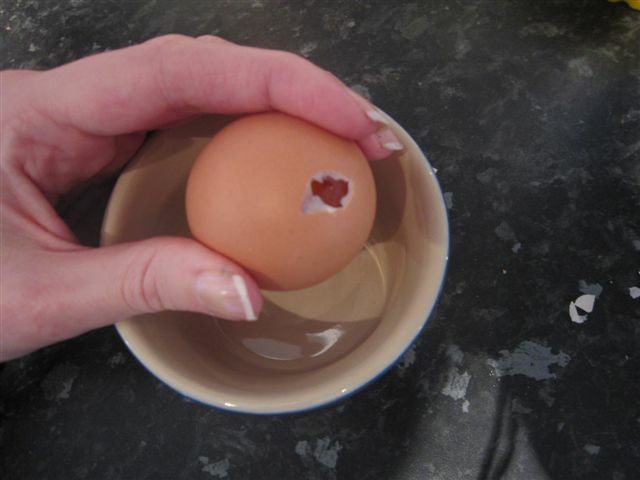 Start by carefully making a small hole in the end of an egg, I used a sterilised needle. Then carefully make the hole ever so slightly larger using the needle, or your fingers if you can pinch tiny bits. Next I used a cocktail stick to break up the egg inside it’s shell. Drain out over a bowl, I washed out the eggs at this stage. 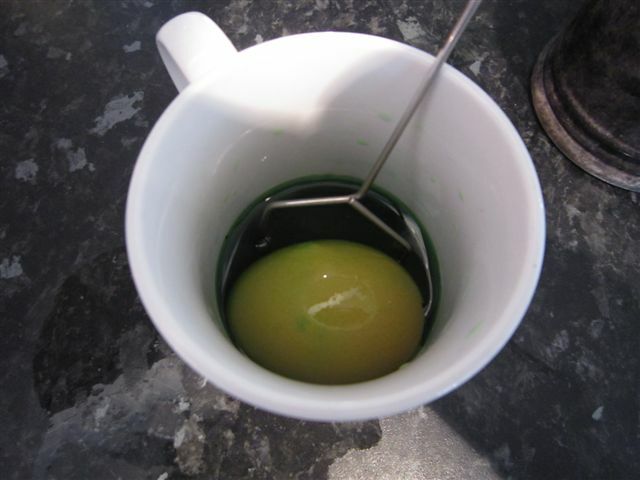 Decorating eggs couldn’t be a simpler, all you need is approx 1/2 cup of room temperature water, add in about 1 Tbsp vinegar and then food colouring. 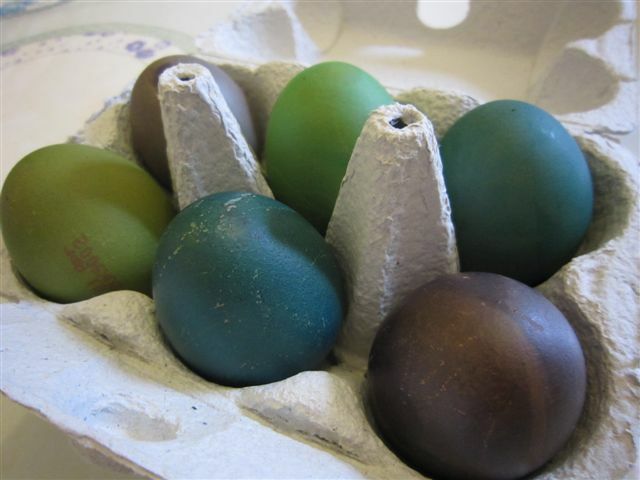 Dip your eggs in the colouring and keep turning until you have reached the desired shade. I used my handy egg dipper to pick them up. Place them on kitchen paper to dry. Of course you can fill the eggs with whatever cake takes your fancy, but if you like yummy squidgy gingerbread then this recipe is great. Melt the butter, syrup, treacle and sugar gently in a pan. Leave to cool slightly. Sieve together the flour, ginger and cinnamon. Add the melted sugar mixture to the flour and beat. 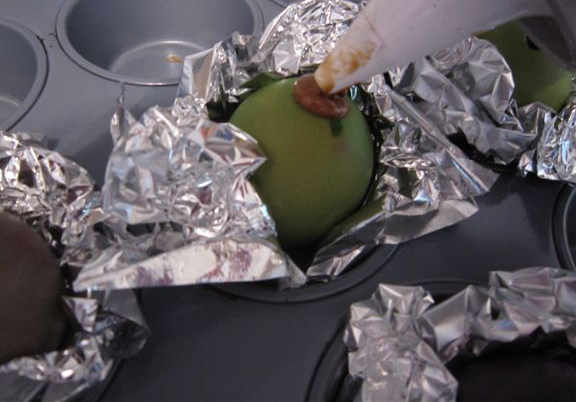 Take each on your dyed eggs and wrap the base in a square of foil with the hole facing upwards. Place them gently into a muffin tin. 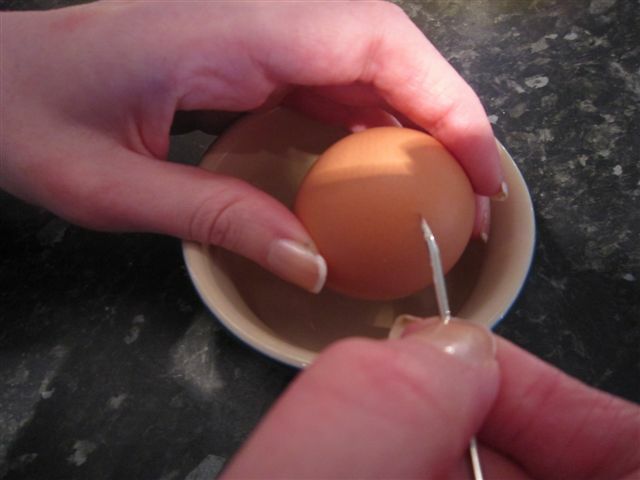 Fill a piping bag with your cake mixture and carefully pipe the cake batter into the hole in your egg. Try to fill the eggs about 3/4 of the way up. Bake them for about 20 minutes. If some of the cake oozes out of the top (as it did on a few of mine) then just nip those pieces off with your fingers. 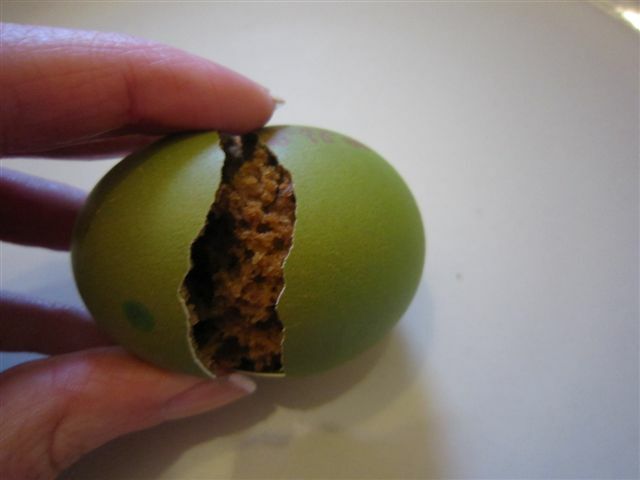 This entry was posted in Recipes, Tutorials and tagged baked, cake, cake baked in shell, cake cooked in shell, cake in egg shell, cooked, craft, cupcake, cupcakes, dyed eggs, easter, easter egg, easter egg cake, egg cake, egg shell, egg shell cake, gingerbread, recipe. Bookmark the permalink.